There are just times in stepfamily and single parent life (as well as in all families) when we have situations that are frustrating, painful, and/or heartbreaking. But for me, I’ve realized it all comes down to fear. The basis of all that frustration and hurt is really about what we are afraid of. We are afraid we will lose our children. We are afraid we will not be able to come out of this situation with our sanity intact. We are afraid that our family will not be what we want it to be. Family is the center of our life, and it makes sense that these issues would make our hearts so vulnerable. Stop the drama and reacting by email, phone calls, texting, or behavior. Take a big step back and just breathe for a moment. 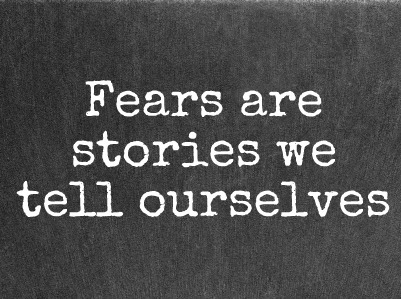 Pray, calm yourself down, or whatever you need to do to let go of the fear and the story you are telling yourself (even if you don’t want to or don’t think you can). Remind yourself of the big picture. And most of all, Keep the Faith. Don’t forget that we have choices as to how we choose to see things and what we choose to do. Keeping the faith is remembering that you don’t know how all of this will play out. And as our children grow up, they will change and grow too. Keep the faith and believe in the long run over the short run.